As humans and businesses increasingly rely on data, data centers housing rows upon rows of servers have expanded in size. Data centers are typically large square footage facilities that consume enormous amounts of electricity. For developers and operators of data centers, the strategies for locating facility sites have continued to evolve. EPAct tax savings can assist data centers operators involved in both greenfield and brownfield facility construction and energy management. Pursuant to Code Sec. 179D, as enacted by the Energy Policy Act of 2005 (EPAct)1, properties that make qualifying energy-reducing investments in new or existing locations can obtain immediate tax deductions of up to $1.80 per square foot. If the building project does not qualify for the maximum EPAct $1.80 per square foot immediate tax deduction, there are tax deductions of up to $0.60 per square foot for each of the three major building subsystems - lighting; heating, ventilating and air conditioning (HVAC); and the building envelope. The building envelope comprises of every item on the building's exterior perimeter that touches the outside world including roof, walls, insulation, doors, windows and foundation. Greenfield projects are projects which are either on previously unused land or within old facilities that impose no constraints on the new project. With a greenfield development, data center owners have an opportunity to select locations with low energy costs and construct facilities tailored to data center operators. An optimal operating environment includes maximization of white space (server location areas) and spaces to place enormous amounts of servers, server cooling equipment, network wiring, power supply infrastructure, back up batteries and building mechanical equipment particularly cooling systems that support the data center operation. Brownfield sites are abandoned facilities which can be re-used but first require a certain amount of cleanup or enhancement. Some brownfields have important characteristics that are valuable to data centers, including a low purchase price (particularly for large, vacant industrial buildings), large square footage, and sufficient ceiling heights to install the lattice work of below-floor network and power lines necessary to operate a data center. The following chart illustrates the type of energy efficient lighting, HVAC, and building envelope equipment applicable to data centers. Install low wattage long life LED lighting with occupancy controls. Convert to LED lighting or energy efficient fluorescents with occupancy controls. HVAC Strive to purchase the most energy efficient cooling equipment possible including heat exchangers, magnetic bearing chillers, and possibly geothermal. Often non-conditioned warehouses are purchased for data center conversion. The key is to install the most energy efficient building cooling equipment possible. With existing VFDs should be installed on major HVAC motors and replaced cooling equipment should be at the most energy efficient level. Minimize windows in server area and install highly insulated cool roofs. Utilize energy efficient building replacements including cool roofs. Data center operators must give careful consideration to the geographical locations of data centers. After 9/11, New York City data center operators moved portions or all of their data centers to offsite locations in New Jersey. After extensive regional building damage impacting both New York City and New Jersey related to Hurricane Sandy, many of these same companies are further diversifying their data centers to other regions throughout the country. The industry standard energy performance parameter for data centers is the Power Usage Effectiveness (PUE). This measurement is the ratio of total facility energy usage, including climate control and all other overhead, to the energy consumption by IT computing equipment. According to the Uptime Institute’s 2012 Data Center Survey3, the average PUE for large data centers was approximately 1.8, compared to Google’s average of 1.12. This significant difference is primarily due to Google’s innovative energy engineering practices. For example, Google recently began to utilize thermal modeling of their server racks to optimize airflow. Also, they have incorporated many unique HVAC processes including evaporative cooling of server exhaust and the use of free cooling methods involving ambient air and even seawater. These improvements not only save millions of dollars in energy cost consumption yearly, but also increase the opportunity for larger EPAct tax deductions when compared to an ASHRAE 90.1 2001 reference building4,5. The figure below presents the lighting and HVAC components of a data center. 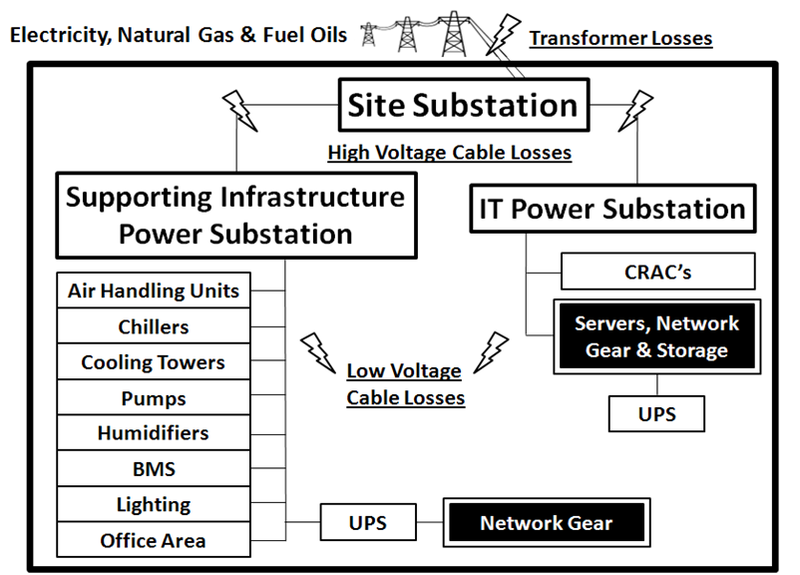 Figure 2: Major data center energy components and losses. The chart below illustrates the potential EPAct tax deductions related to select data centers. With the massive need for increases in servers, the data center facility industry is expected to experience high growth rates. Greenfield and Brownfield data center operations should be able to increasingly use EPAct tax incentives as they reduce building energy use. 1 - Energy Policy Act of 2005 (P.L. 109-58). 2 - “The Tax Aspects of Cloud Computing & Data Centers”, Charles Goulding, Jacob Goldman, and Cassandra Gengler, Corporate Business Taxation Monthly, December 2010, at 9. 5 - “The EPAct Tax Aspects of Lady MAGA”, Charles Goulding, Jennifer Pariante, & Spencer Marr, Corporate Business Taxation Monthly, April 2012, at 19. 7 - “The R&D Tax Credit Aspects of Cognitive Computing”, Charles R. Goulding, Andressa Bonafe, and Charles G. Goulding, To be published in Corporate Business Taxation Monthly.